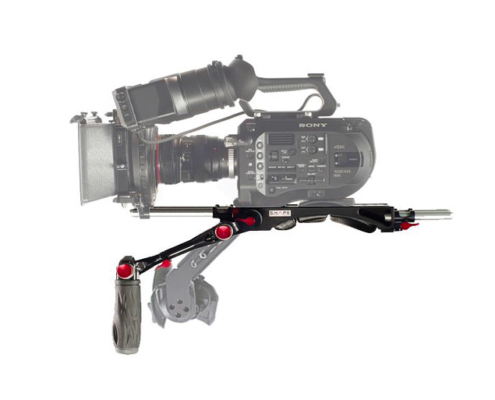 The SHAPE F7S Bundle Rig is a starter rig for the Sony FS7 that directly supports the optional Sony Zoom Control via a rosette adapter. It also features a V-Lock delta adapter allowing compatibility with V-Lock tripod adapters, such as the Sony VCT-14 and Panasonic SHAN-TM700. 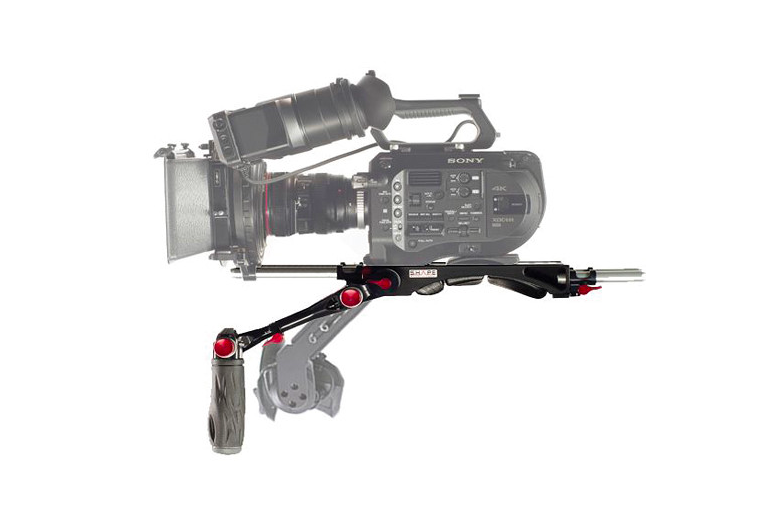 This shoulder Rig is also adjustable for matte boxes and supports offset camera mounting brackets. The bundle includes the SHAPE 8000 V-Lock Quick Release Baseplate, multi-adjustable telescopic handles, and front and rear 15mm rods. The baseplate features a long format design for larger cameras and can be used shoulder mounted, tripod mounted, or attached to delta tripod adapters. It includes a removable shoulder pad and offers SHAPE/ARRI standard rosette adapters on both sides. 1/4″-20 and 3/8″-16 tripod mount threads are available underneath the shoulder pad. 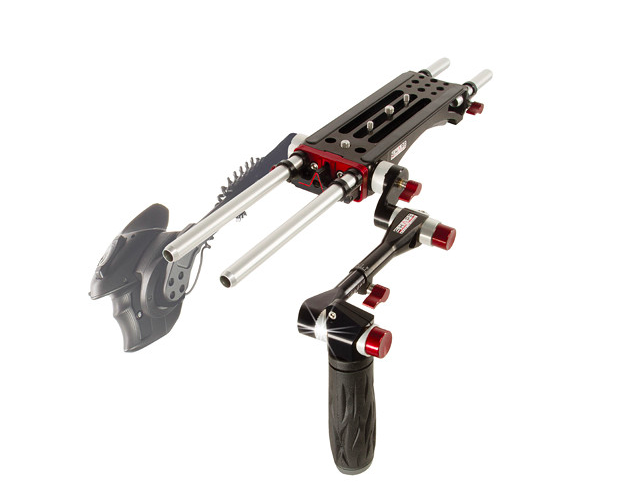 The front rod adapter can be adjusted vertically to support a matte-box and other accessories. The baseplate has three long camera mount slots, and the off-center ones support an optional SHAPE 15mm Studio Adapter for offset mounting. Nine 1/4″-20 and 3/8″-16 mounting threads are located behind the three slots for flexible accessorizing. The Telescopic Handle can be extended out 1.5″ and can also be rotated 360°. The rotating capability allows it to be adjusted for left- and right-handed use. At two points, this handle features SHAPE’s push-button technology which allows for instant, precise adjustments.